The more I thought about it though, I realized that his family’s feelings were reasonable. In fact, faulting them for feeling strongly about a name – a family name at that – would have been hypocritical when I, too, had convictions about names from my own cultural background. And if I had such a tough time imagining my own children with Western names, even after growing up as an American kid in the United States, then surely I had to understand how difficult it was for Robbie’s sisters to picture a mini version of their brother with a name from a language completely foreign to them. Even so, while I could empathize with Robbie’s family, I still felt partial to Indian names and wondered who would win the name game when it came time to play. Well, when the time came, we got lucky, had a girl, and bypassed the discussion entirely, because for us, the naming dilemma focused on names for boys. 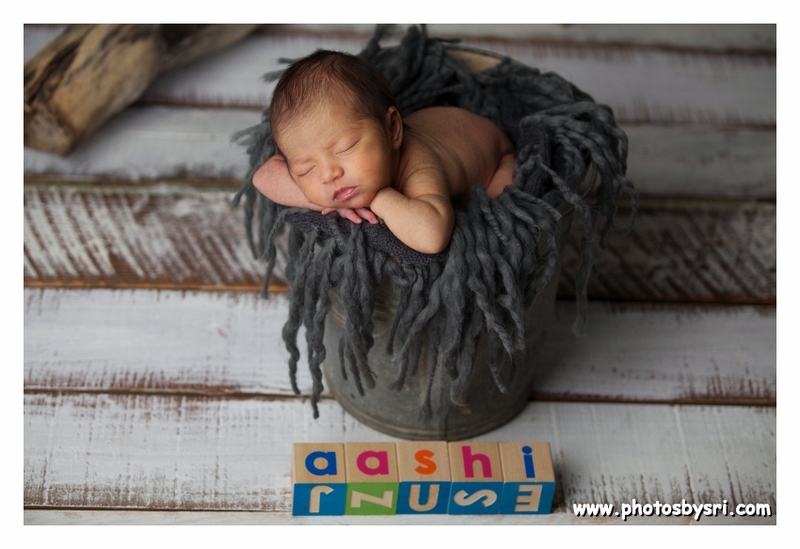 We ended up naming our daughter “Aashi,” which Robbie found pretty and feminine and took to right away. Aashi’s middle name is “Rajput,” which is my maiden name and also pays homage to the Filipino tradition of naming a daughter with her mother’s maiden name. And at Aashi’s Baptism, when we learned we had five minutes before the ceremony to give Aashi a “Christian” name, we selected the name “Beatrice,” after Robbie’s paternal grandmother. So while the name Aashi Rajput (Beatrice) Milla ended up representing several aspects of our daughter’s background and traditions, it sort of just happened, without much debate at all. But like I said, we got lucky. I recognize that if we ever have a boy, we will still have to agree on a name. So I wonder, for parents facing a similar challenge, is it possible to prevent the name game from turning into an outright battle? When it comes to selecting a first name, is there such a thing as compromise, or middle ground? A recent Facebook post soliciting suggestions for names that are “mixed” or sound “Anglo-Indian” makes me unsure. I don’t know what a “mixed” name is, but I sense that the idea is to take names from both sides, dissect them, and piece them together to create a new name all together. While I recognize the symbolism intended, I think this process sacrifices the significance of both names, and eventually, the goal of honoring two different backgrounds gets lost in the mix. In response to the post, suggestions for “Anglo-Indian” names ranged from names like Declan (Irish, I believe) to completely Indian names, like Raja, which are not so much mixed as they are easy to pronounce. I suspect that the post was a call for names that could be considered Western and Indian at the same time, like Arya, Natasha, Monica, Neal, Jay, etc… But this option doesn’t sit well with me either because it limits parents to a very tiny subset of names. Sure, parents in English/Irish or Indian/Indonesian or Filipino/Spanish marriages may have limitless options, but think of how few the options would be for parents whose backgrounds are worlds apart, like parents in Japanese/Indian, or Greek/Chinese relationships. Sure, sticking to names that arguably fit in with both backgrounds is one way of compromising, but that solution only works for limited pairings. In the end, I am not sure there is a perfect solution that will always make both parents (or grandparents) happy 100% of the time, especially if they have strong naming preferences. But when the time comes, perhaps the most obvious compromise is best, i.e., giving a first name from one side and a middle name from the other. At some point someone’s first choice will be compromised, which makes sense, since the very definition of “compromise” means giving something up for the benefit of the greater good. In our case, I think the greater good would best be served by selecting a name for those it is most important to. The truth is, Robbie’s family is far more partial to the name Robert than I am to any Indian name out there, so for the benefit of all involved, I’m pretty sure that if we ever have a son, his name will be Robert (Indian middle name) Milla. And if that happens, will I be okay with it? Sure, because what I’ve come to realize is that a name may identify someone, but it can never define a person or make his or her background. The fact that Aashi’s first name is Indian does not make her any more mine than Robbie’s, and does not mean her influences will be any more Hindu than Catholic or any more Indian than Filipino. It is just up to us, as her parents, to teach her that. And when I consider the power that we have as parents to teach our children about their background and culture, I realize that we don’t have to view the name game as a winner-take-all competition after all. Great blog…JB and I are excited to hear all about the 3 of you and the adventures. ;) Love the multi-cultural discussion. It’s so relevant to so many people we know and love. Discovered your blog today, very interesting read!